MotiVision Inc. "Building a Better Tomorrow Today"
Click here for information on New Release and DISCOUNT! Build more Momentum in yourself and your organization. Get Free "MotiVision Message" With Clif McKnight. Register now to receive an audio or video email and/or our periodic newsletter and visit us regularly for an uplifting, practical thought to propel you to the next level at www.cliftonmcknight.wordpress.com . Copyright © 2004, 2009, 2012, MotiVision Inc. All Rights Reserved. Clifton A. McKnight, Keynote Speaker, Author, Educator is author of IF YOU CAN'T CALM THE WATERS LEARN TO RIDE THE WAVES How to Succeed in Turbulent Times. More click here About us. He also is the narrator of MILTON'S BUTTONS. 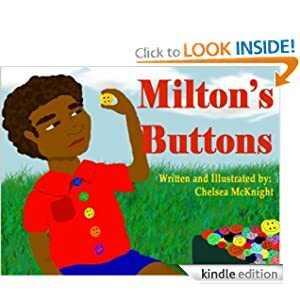 Chelsea McKnight, Author, Educator, Behavior Specialist, and illustrator, wrote and illustrated MILTON'S BUTTONS. Chelsea also provided editing and illustration for IF YOU CAN'T CALM THE WATERS LEARN TO RIDE THE WAVES How to Succeed in Turbulent Times. Copyright . Motivision. All rights reserved.